Ehrhart, Peggy. Murder, She Knit. New York: Kensington Books, 2018. In this promising start to a new series, widowed Pamela Paterson invites her husband's former colleague Amy Morgan who recently took a job with a local college to her home for the weekly knitting group meeting. When Amy doesn't show up, Pamela assumes something came up at the university. Later that evening while looking for the cat's bowl, she discovers her friend's body in the shrubbery with a knitting needle poking out of her body. The needle seems to point to someone in the group, but Amy made some controversial decisions during her short time chairing the department, supplying suspects outside the frame of the needlework circle. Pamela doesn't think police always ask the right questions and begins to investigate with the help of neighbor and fellow knitter Bettina. The conclusion of this one caught me a bit by surprise although I confess to coming up with no solution of my own. The clues were present, but not obvious. I'm a bit baffled why the police did not interact with Pamela more and warn her about sleuthing. I loved the cat who adopted Pamela and look forward to Catrina's becoming more comfortable around her pet human. The main characters and setting were well-developed. I look forward to the next installment of the series and to seeing how the characters develop over the course of the series. I received an advance electronic galley from the publisher through NetGalley with the expectation of an honest review. 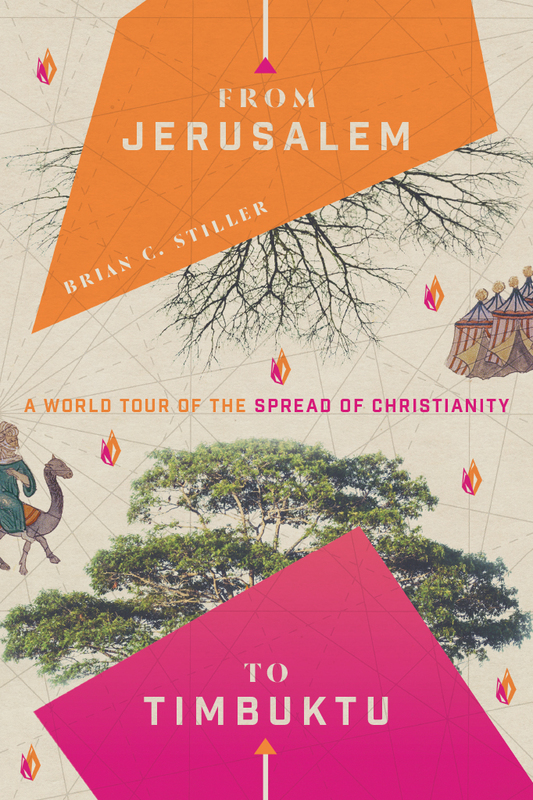 Stiller, Brian C. From Jerusalem to Timbuktu: A World Tour of the Spread of Christianity. Downers Grove, Illinois: IVP, 2018. When the subtitle discussed "the spread of Christianity," I expected the title to be more focused on a history of missions. Instead this book organizes itself around topics and then highlights a few places around the world under each. It is specifically focused on Pentecostal missions with the Nazarene tradition being emphasized. This limits the audience for the book. I disagree with the author's interpretation on several theological points. While the book does contain some historic content, the non-chronological arrangement makes it unhelpful as a history of missions. The content organization reminded me of sermons with specific points with illustrations drawn from specific missionaries or global settings used to engage the audience. This book is probably most useful in an introduction to missions course, a Pentecostal church missions group study, or in a theology of missions course in a Nazarene institution. This review is based on an electronic galley received by the publisher through NetGalley with the expectation of a review. Dovalpage, Teresa. 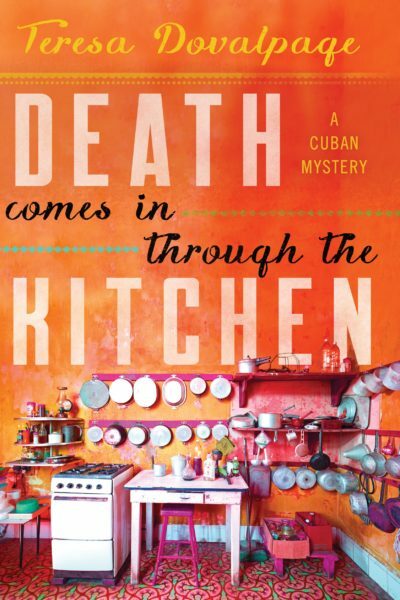 Death Comes in through the Kitchen. New York: Soho Crime, 2018. Stupid San Diego journalist gets involved in a virtual relationship with a Cuban food blogger and thinks he is going to marry her. He arrives in Cuba with a wedding dress. She doesn't meet him at the airport, and when he arrives at her place, she's dead. The story goes downhill from there. The Cuban authorities think he's a government spy. He discovers his beloved is also seeing another man. He has no rights because he's in Cuba during a time before the United States resumed relations with the country. The dead girl is not who she appeared to be. The book falls flat, fails to engage the reader, and wastes paper or bandwidth. I received an advance reader's copy through NetGalley in exchange for an honest review, and that is the only reason I kept reading it. Edwards, Martin, editor. Foreign Bodies. Scottsdale, Arizona: Poisoned Pen Press, 2018. Martin Edwards offers short stories in translation in this volume. Normally I'll discover one or two real duds among a few gems and mostly mediocre to slightly above average offerings. Nothing really hit me as being a "dud" or even below average in this collection. "The Kennel" by Maurice Level became the first "standout story." I enjoyed the twist at the end. The introduction compared his work to Guy de Maupassant and Edgar Allan Poe. Perhaps that is why it resonated so well with me. I usually enjoy short stories by both of those authors. Told in the form of letters, "The Stage Box Murder" by Paul Rosenhayn provides the story of a murderer who lacks the cleverness he thinks he possesses. Although I guessed it, I still loved it. "The Mystery of the Green Room" by Pierre Very makes a statement about reading's importance, drawing heavily from The Mystery of the Yellow Room throughout. The author also mentions Poe's "The Purloined Letter." I received an advance copy from the publisher through NetGalley with the expectation of an honest review.